Red Dead Redemption 2 has a heap of creepy NPC characters and did of the NPC just raped Arther? Here is the complete guide on how to Sexually Violated in the game. There are a number of Houses in the game which you should avoid getting in, especially when they invite you in for free food. Rockstar Games managed to cram into the game and here is how. 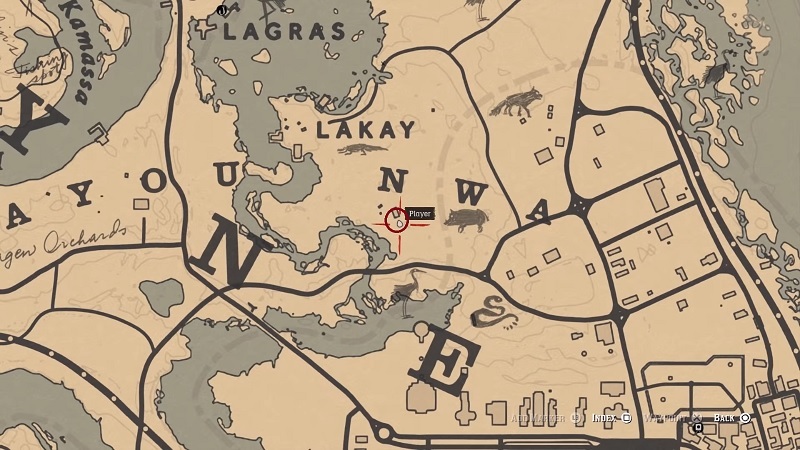 You need to directly head to the Bayou NWA part of the map and look for the Lemoyne area near Saint-Denis. Check the map below, and may your way at the bottom circled part. The rectangle part is the Creepy house. If you are in the right mood then head inside the house during the night(anytime will do). Once you get there you’ll hear the stranger say “it must be real lonely out here, friend,” and invites you in for some food. Simply accept the invitation and walk his house to get started with the scene play out. Once the cutscene is done, Arthur will find himself in a different area of the map. He will be all confused, dazed and exclaim, “Oh, my Lord.” Do check his walking (little bow-legged) after some good action. Note: There are no sexually explicit scenes shown so just relax and enjoy with the creepy. Now that you have enjoyed your little creepy party, let’s head back to the same location and grab all the money and items his stole. There are a number of ways you can take revenge so go ahead and kill or do whatever you want. Here is the clip, of your whole Creepy Party. Do check our Guides for Red Dead Redemption 2 Tricks, Tips, Cheats and more. Red Dead Redemption 2 Online: How to access RDR2 online beta version?